Mohammed Nabbous, killed in March during anti-Gadafi fighting, sent out the first images and sounds of the unrest from Benghazi to the outside world. CAMBRIDGE, Mass. – Nieman Fellows at Harvard University have selected Mohammed “Mo” Nabbous, founder of Libya Alhurra TV, as this year’s recipient of the Louis M. Lyons Award for Conscience and Integrity in Journalism. Nabbous, who was killed in March, was chosen as a representative of all those who courageously worked to disseminate news during the Arab Spring. In doing so, they helped further the cause of a free press. 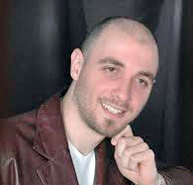 An Internet technology specialist, Nabbous founded and ran the Internet division of Libya Alhurra TV, a widely viewed live video channel, and transmitted the first images and sounds of the civil unrest in Libya to the outside world in February 2011. Using his technical and social media expertise, he was able to bypass government blocks on the Internet and, via satellite, streamed live raw footage and commentary from cameras set up around the city of Benghazi in the critical few days before any independent media were present. Nabbous was shot and killed on March 19, 2011 while reporting on attempts by government forces to fight anti-Gadhafi rebels and attack civilians in Benghazi. His death was announced on the live stream he had created by his wife, who was then nearly eight-months pregnant. “At great danger to himself and with tremendous courage, Nabbous demonstrated the power of journalism in a country that hadn’t known a free press in decades. He became the eyes and ears for the world, paying the ultimate price. And for that we honor him,” the Nieman Fellows said. The award will be presented posthumously during an event at the Nieman Foundation for Journalism at Harvard on Dec. 1, 2011. The Nieman class of 1964 established the Louis M. Lyons Award in honor of the Nieman Foundation curator who retired that year after leading the institution for a quarter of a century. Lyons was a forceful advocate for freedom of the press. While he was curator of the Nieman Foundation, he broke new ground by diversifying the class of fellows to include women, minorities, and international fellows. The award honors displays of conscience and integrity by individuals, groups or institutions in communications and is decided each year by the members of the Nieman class. The 2012 Nieman Fellows, including 12 international and 13 U.S. journalists, reached their decision after serious thought on the role of citizen journalists in the fast evolving media landscape. They believe that honoring Nabbous is in keeping with Lyons’s legacy and is recognition of the vital and historic contributions that Nabbous, and many others like him, are providing to journalism. Dorothy Parvaz, an Al Jazeera journalist and Nieman Fellow in the class of 2009, will deliver an address during the Lyons Award ceremony. After entering Syria to cover uprisings there in April 2011, Parvaz was detained and held in one of the country’s secret prisons for three days before being sent through extraordinary rendition to Iran, where she was born. She then spent 16 days being interrogated on spying charges in Evin Prison before she was released, due in part to the international pressure put on the Iranian government to win her freedom. that's great news , but the greatest reward for him is the paradise which is a wide as the heavens and the earth. Mohamed (Allah yarahmah) really deserves it. Mo was a wonderful person and I am so proud that he received this award. He was a very unselfish person and was determined to get the news out to the world about what was happening in Libya. He always said he was not afraid to die and unfortunately he did trying to make Libya a free country. It is a great thing that Harvard has done. The candle that Harvard has maintained is held high. This will always be for all humanity to see. The late Mohammed Nabbous, a shining light in the Arab Spring, does not only deserve such a prestigious award but also the erection of a memorial to bear witness to his great courage and patriotism for having stood up on behalf of his oppressed people against a tyrant who was ready to go to any length to hold on to power even to the extent of committing genocide! The free world salutes you, BRAVE ONE!